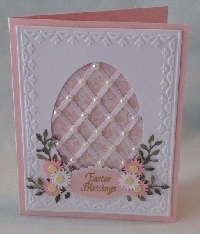 The swap: For this swap, we will send our partners an Easter card. This card may be store bought, a boxed variety or handmade, of nice quality, something you would be proud to receive. We will have two (2) partners for these swaps. Please know that the card may be religious in nature, and you cannot rate down for this. IF you would like to include a small gift to your partner, you may do so, but it is NOT required. You may also get inspiration from your partners profile, if you choose to. Please write on the OUTSIDE of the card the name of the swap, so your partner knows what swap it is. The swappers: I will be doing a series of Easter card swaps. Newbies are welcome with a WELL FILLED OUT profile, meaning I MUST BE ABLE TO SCROLL DOWN to read your profile. This includes anyone with under 100 swaps. I will message you and ask you to fill it out more. Please do so, so you can be in the swap. I do not like to ban people because they cannot follow simple instructions, but I will. I reserve the right to ban whomever I feel will make this swap or any of my swaps un-fun for all. No unresolved 1's or 3's. Please rate your partner upon receipt of the swap. It is required of all swaps. ** Now, on with it, Lets Have Some Fun! I have some simple tips that can help you keep your swaps organized, from when you sign up, to when you archive it. If you would like this info, please PM me and I will gladly forward this info to you.